What could you do with some scavenged supplies from the local convenience store? Create an autonomous time-lapse camera, of course. The class, called Field Engineering seminar, was offered during the spring semester to students in ASU’s School of Earth and Space Exploration. It’s taught by Andrew Klesh, a Jet Propulsion Laboratory mission architect and ASU adjunct faculty member. Klesh unofficially refers to the class as “MacGyver 101,” referring to the 1980s TV secret agent with the sweet mullet who could solve any problem with common items like duct tape, gum, a paperclip and his scientific genius. One of the challenges the students were tasked with was building an autonomous time-lapse camera – from a remote-control "Bob the Builder" toy tractor and a disposable 35mm camera. “The idea is that you can buy a toy at your nearest gas station out in the field and crack it open to find the necessary electronic and mechanical components to solve a problem,” Veto said. In the class, students participated in a number of lectures and labs, each building on previous lessons and all designed to cross-train scientists and engineers in basic skills – chemistry, geology, electronics, troubleshooting – so that they can pull off miracles in the field when something breaks down, or when they forget that one important instrument. “There were not very many instructions or guidance, which was very exciting because it emulates the real-world, in-the-field experience," Veto said. "You're given a problem and you just have to figure out how to solve it. There are no instructions." The class focuses on real-world experiences and problems, and it is designed to both illustrate realistic field scenarios. Throughout the course, students pulled from their own experience to educate others on field-specific skills (sampling at a volcano, geologic sampling, how to make a field radio, how to signal for help, etc.). 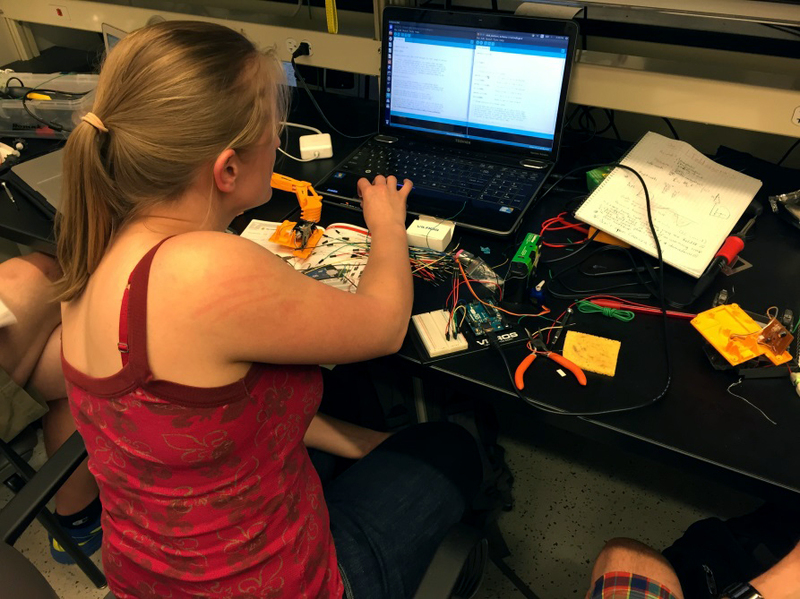 The class began by learning what resources and problems might be encountered in a small electronic vehicle, and ended with having to use these parts in the invention of a field instrument. At this point, there is no website or program description for the Field Engineering seminar, as it's not an official course. NASA/JPL supported this trial course through their Center for Academic Partnership program, with the hope that this course will better educate students for future field work, creating desirable candidates for JPL positions. 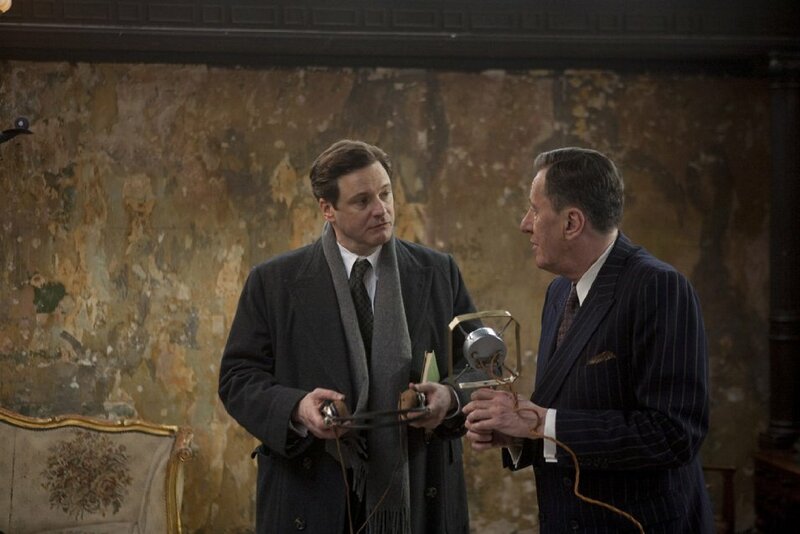 Four-time Oscar winner "The King's Speech" introduced audiences to the speech struggles of King George VI of England. A free screening of the film May 12 is a fitting choice to mark Better Hearing and Speech Month in May. Four-time Oscar winner “The King’s Speech” introduced audiences to the speech struggles of King George VI of England, making it a fitting choice to mark Better Hearing and Speech Month in May. Doors open at 6 p.m. at the Marston Exploratory Theater, in ISTB 4 on the ASU Tempe Campus. The screening, which is open to the public, begins at 6:30 p.m. The department joins the American Speech-Language-Hearing Association in observing Better Hearing and Speech Month, which occurs each May to raise awareness about communication disorders and the professionals who can help. Local National Stuttering Association chapters meet on the ASU Tempe Campus to provide support and resources. To find a meeting near you, visit www.westutter.org/find-an-nsa-meeting-near-you. Each year the American Speech-Language-Hearing Association picks a theme to raise awareness about communication disorders. For 2015, the theme is “Early Intervention Counts,” focusing on early detection and treatment. To learn more about communication disorders, visit identifythesigns.org. ASHA is the national professional, scientific and credentialing association for more than 173,000 audiologists; speech-language pathologists; speech, language and hearing scientists; audiology and speech-language pathology support personnel; and students. Audiologists specialize in preventing and assessing hearing and balance disorders as well as providing treatment, including hearing aids. Speech-language pathologists treat speech and language problems, including swallowing disorders. Find out more at www.asha.org. For more information about the screening, visit chs.asu.edu/BHSM or contact Lucy Wolski at 480-965-1584.